New Author 14th January 2018 Arsenal, football, premiership, tactics, transfersTagged forward, Giroud, Sanchez, striker, transfer, Walcott, welbeckLeave a Comment on Do We Need Another Forward? The Premier League hiatus which comes every year can be painful. Much like a seasonal affliction, every May to August brings with it a malaise and an itch that cannot be sated. World Cups, Euro Cups and Copa America’s act as an off the counter balm, soothing to a degree but leaving the desire to tear your skin off in frustration. What makes things far worse is the transfer window. Every excruciating day is peppered with spurious transfer links with players that will never ply their trade in England, never mind in our fine stadium. For years it has been the same, Edinson Cavani has signed for us at least five times, Salomon Kalou is apparently an expert in hiding as we haven’t seen him in years despite signing for us repeatedly over the years and Karim Benzema – despite adoring the club he plays for – is reputedly inching ever closer to a move to the Emirates. What common thread unites these links? Yes, they are comprised entirely of faecal matter, but there is another element of symmetry between these stories that wouldn’t look out of place in the National Enquirer. 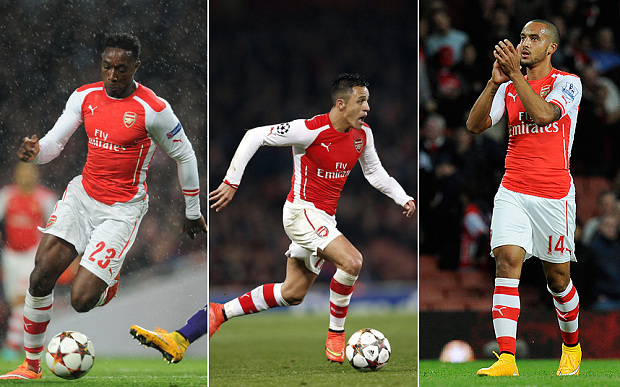 It would seem the general consensus is that Arsenal are in dire need of another frontman. Much like Manchester United, we require the signing of a striker to boost our hopes. Louis Van Gaal has ditched Van Persie – the kid inside him is upset I would wager – and Falcao is off the books also. This would leave Rooney and Chicharito, who is also seemingly on the way out of Old Trafford. It is glaringly obvious that United need to bolster their forward line if they are to compete. Are we in the same boat? Do we so desperately need a striker to finally make up a squad that can seriously challenge for the title? Let us look at our options. 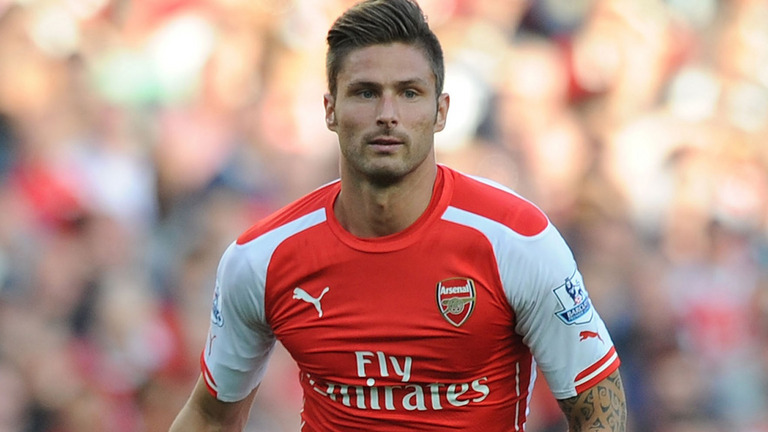 We have Olivier Giroud. Largely maligned from all media quarters but beloved by most Gooners, he has scored 58 goals in three Premier League seasons. Nigh on twenty every League campaign, despite missing three months last season. His front post presence and runs are undeniably excellent and his link up play with Aaron Ramsey is one of the strongest arrows in our quiver. The majority of play goes through him and his strength in the air gives us options. 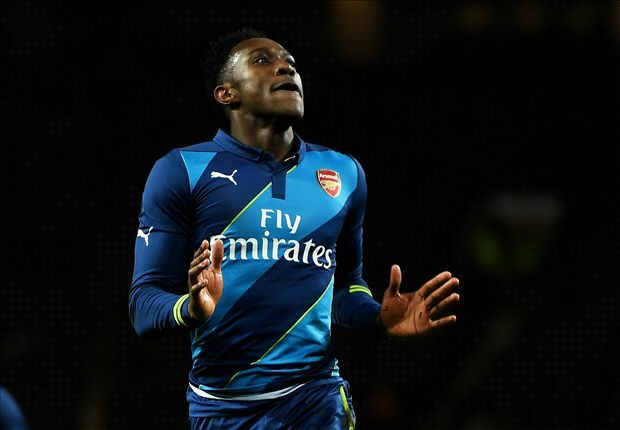 Then we have Danny Welbeck. Whilst lacking the goals that his French compatriot has earned, he more than makes up for that with his earnest running, tracking back, his fantastic pace and his ability to fit into any tactical approach. He is a brilliant asset to have. This isn’t to say he cannot score. With a run in the team in the coveted Number 9 role, he could get a lot more than the 8 goals he plundered last season. His goalscoring form for his country suggests that with a run in the team and a bit of confidence, he could add goals to what is already a glowing resume. Then we have Theo Walcott. A conundrum. “I’ve always said that he’s a goalscorer because he has the movement, he has the timing of the run, the speed for the finishing and he has an eye for taking his chances at the right moments. 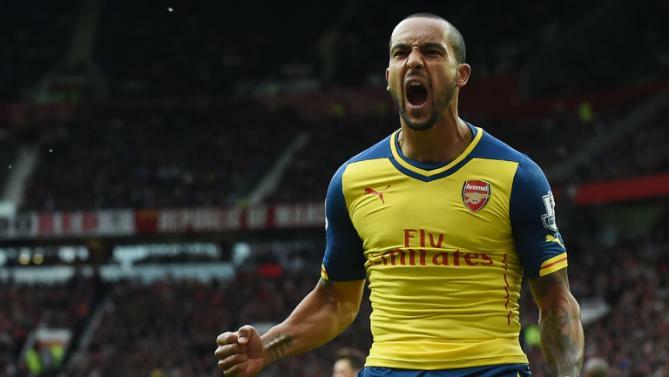 Theo seemingly has the backing of Wenger and will get the chance to further cement his striking credentials during the season. It is quite easy to get carried away by our pre-season form but a few things can be taken from our build up to the seasons opener, one of them being Walcott’s ability to play through the middle. His runs into the box are succulent treats for the likes of Ozil. His movement enables the utilisation of Ozil’s vision, which is second to none. It isn’t only Ozil who can thread a pass though, Cazorla, Wilshere and Giroud have all shown they can find their teammates as they dart between the proverbial reeds on the riverbank. His goals in the tailend of last season and in pre-season only serve to further evidence what is becoming abundantly clear – the boy can finish. He does still squander when in promising positions but he is a far cry from the lad who didn’t have a ‘football brain’ He has the pace and finishing ability to break through even the most stubborn and packed backlines and still hasn’t reached his peak. The only stumbling block is his fitness. It has been years since he has managed a full season. The fact I have referenced his last full season which was in 2012 speaks volumes. The one bright spot which may buck this worrying trend is Shad Forsythe. Since his integration within our burgeoning group of backroom staff, our injuries have lessened and layoffs have shrunk considerably. He may be key in nursing Theo through an entire campaign. So, we have Giroud, Welbeck and Walcott. Add into the mix an effervescent Sanchez, a firing Ramsey, a Wilshere who has finally realised he can score and you have a team more than able to shoot down even the meanest of opponents. Goalscoring hasn’t been our problem recently. Quite why most journalists feel we need another high profile frontman when we have a rich vein of goals already is worth questioning. Perhaps more clicks are garnered from strikers needlessly linked rather than midfielders? Either way, if Wenger decides to stick with what he has, there will be pockets of fans who will decide that this is the death knell for our title tilt before the season has kicked into gear. The reality though, is that our squad and their cohesion is in the rudest of health.